Aphids are despised by farmers in temperate climates worldwide and for obvious reasons. Aphids will reproduce quickly on certain plants until the stem and leaves are covered in these plump squishy insects. They feed by piercing a plant with sharp mouth parts and sucking sugar-rich fluid from the phloem where sugars are transported. Not only does this starve the plant, but aphids also introduce pathogens like viruses. Aphids use a simple but effective defense to escape predators. 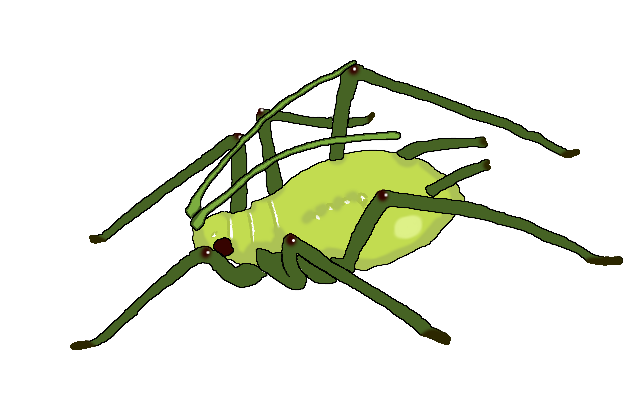 When an aphid is attacked or under duress it ejects an alarm pheromone from exhaust-pipe looking features protruding from the back called cornicles. This is a signal to other aphids to drop off of their leaf or stem. A once-successful predator that gets marked by the alarm pheromone will have less success catching more aphids. While the apparent natural defense of an aphid is to simply let go of whatever it is they are attached to, they have another fierce arthropod ally. Certain species of ants will actively farm aphids for their sweet digestive waste called honeydew. These farming ants will manage herds, and even carry aphid eggs underground to nest with their own during the winter. Most importantly, ants defend aphids from other predators like lady beetles and their larvae. The first thing to do if a plant is infested with aphids is to wash them off thoroughly with water. Most of the displaced aphids will not find their way back to the plant. Water also washes away the sticky, sugary honeydew that feeds mold. To prevent aphids from recolonizing a plant, spray the plant with an adequately-diluted mix of soapy water and any variety of herbal oils that have been shown to deter insects. 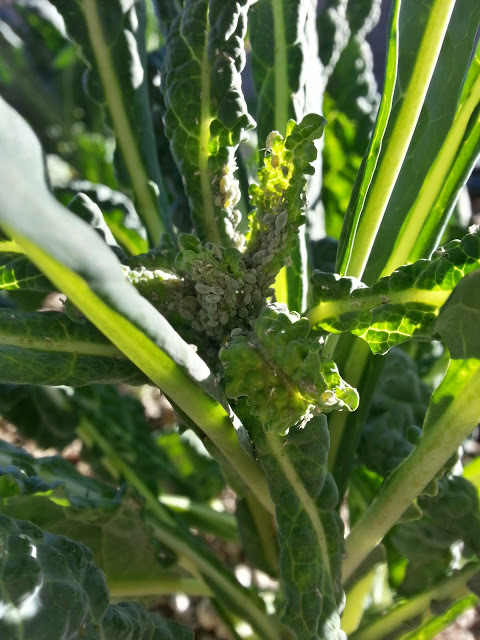 Control ants in the area that may be actively re-establishing the aphids on plants. Check the area around your garden for weeds that harbor aphid colonies like mustards and sowthistle. Aphids can also thrive on the newer growth in the inner branches of trees. Natural predators of aphids like lady beetles (ladybird beetles, lady bugs) can be purchased at a local gardening store or online.